Chris Darden, O.J. 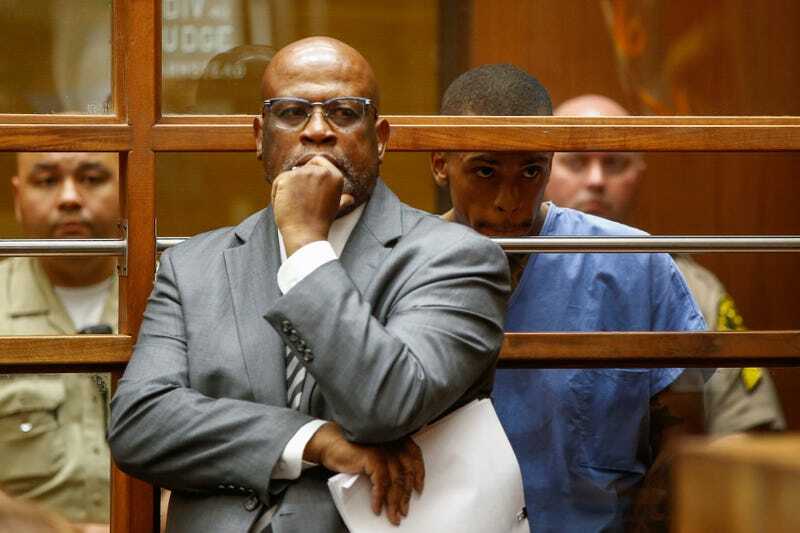 Simpson’s former prosecutor, is now the defense attorney for 29-year-old Eric Holder, the man charged with murder in the death of Nipsey Hussle. Yup. The guy so excellently portrayed recently by This Is Us’ Sterling K. Brown in The People v. O.J. Simpson is now standing up for Holder, the man charged with gunning down Hussle Sunday in front of Hussle’s Los Angeles store. During an arraignment hearing Thursday in Los Angeles, Darden entered a not guilty plea on behalf on Holder to charges of murder, attempted murder and possession of a firearm by a felon, the Los Angeles Times reports. The judge set bail at $5 million. Darden was unsuccessful in getting the judge to bar cameras from the courtroom during the hearing, and he did not fight the bail amount. He declined to comment following the hearing, according to the Washington Post.